MEBS can provide comprehensive real estate solutions for any commercial space requirements. With an in-depth knowledge of local leasing markets and on-the ground real estate experts, MEBS provides flexible lease options and affordable rates on everything from office suites, storage yards and climate-controlled warehouse facilities. Whether establishing a full-time project or start-up office, MEBS turnkey solutions will meet all your office needs, freeing employees from the burden of office set-up, easing transition and fast tracking project progress. MEBS can secure affordable lease options on a single office or large office suites. All offices come fully furnished with internet access and state-of-the-art information and communication technology. MEBS can also provide office support, including clerical staff, technical support and linguists. Our familiarity with local projects and headquarters can ensure your office space is conveniently located, thereby reducing unnecessary travel time and improving employee safety. MEBS offers short and long-term lease options for a variety of small to large warehousing facilities, including storage yards, ambient and climate-controlled spaces. Our established presence in the warehousing market in the Middle East, Africa, and Southwest Asia grants us a distinct advantage in lease negotiations. 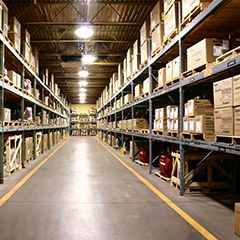 MEBS provides turnkey warehouse solutions to include options on customized equipment and racking, experienced staffing, and transportation/distribution support. All warehouse space is fully insured and includes 24-hour security service, secure loading docks, drive-in facilities and inventory control. Finally, our expertise in logistics management allows MEBS to offer commercial-style warehouse and distribution management solutions that are tailor-made to meet your requirements.